The state of the art Inada Sogno Dreamwave massage chair is one of the most sophisticated massage chairs on the market today. It isn’t the cheapest chair on the market but it is one of the most luxurious, reliable, robust and popular models. 1.0.5 What are the benefits you should expect from a massage chair? 1.0.6 Does the Inada Sogno Massage Chair provide these benefits? 1.1.7 What are the Advantages of the Inada chairs over Leading Competitors? 1.1.9 How will the Inada fit your home? 1.1.11 Where is the Inada made? 1.1.12 Who invented the Inada Sogno Dreamwave massage chair? 1.1.13 How to assemble an Inada chair? 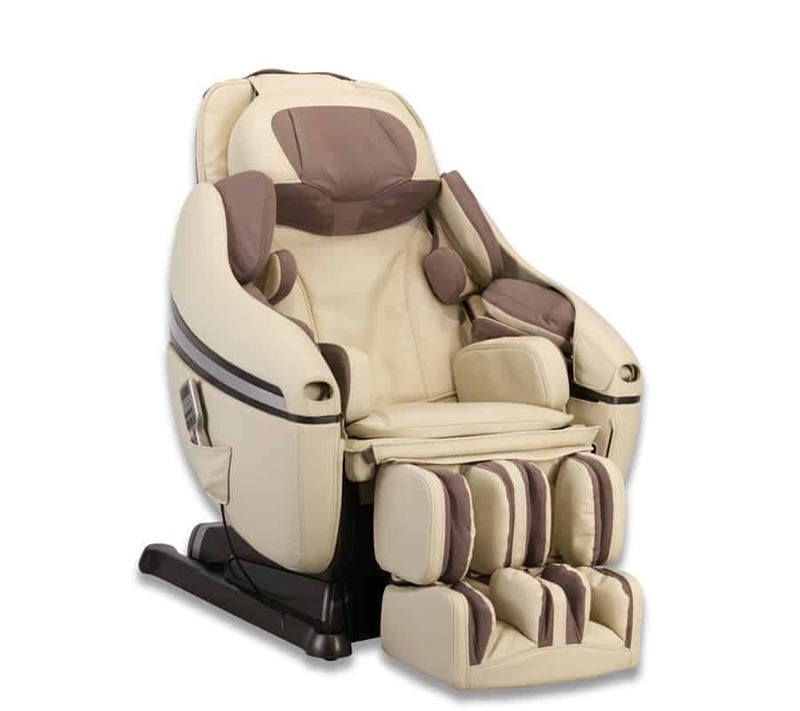 1.1.14 Who is the Inada Sogno Dreamwave massage chair for? 1.1.16 What’s missing from the Inada? 1.1.17 What buyers of the Inada Sogno Dreamwave report? 1.1.19 Conclusion: Is the Inada Dreamwave massage chair worth your money? The remote control is not embedded into the armrest but kept in a pocket at the side of the chair – sometimes this is difficult to access. There are other massage chairs on the market that have similar features for less money. 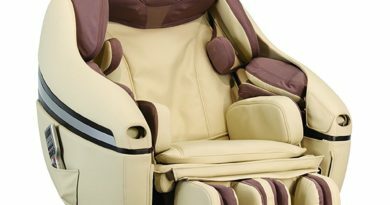 With its 1,000+ Massage combinations, it provides a human touch massage that mimics the Shiatsu technique and is one of the best chairs in its class. Whatever your reasons for buying or thinking of buying a massage chair for your home, the Dreamwave should be one of the brands you should probably consider very seriously. There are some products out there that you purchase and you just know that they’re going to be awesome. That’s the feeling that you’ll get when you kick back and relax in the Inada Dreamwave Massage Chair. You might have heard of the Inada but with the popularity of massage chairs in the last few years, it is difficult at times to work out which chair would be best for you. This Dreamwave review will hopefully cover many of your questions about the chair and if it is the best choice for you and your lifestyle. In this review, we cover the main features, the benefits of this chair, the drawbacks and some of the common questions by prospective buyers commonly ask. As always, if you have any questions about our review or want to know more about the Inada please contact us and we will be happy to help. What are the benefits you should expect from a massage chair? Does the Inada Sogno Massage Chair provide these benefits? When you first sit in the Sogno Dreamwave, your massage starts with a body scan using an Optical Shiatsu Point locator. This is an infrared sensor, which automatically detects Shiatsu points. It is able to match the body type of a user out of 106 body profiles programmed in the machine. The chair will carry out a scan of your whole body and will recommend a massage specifically designed for your body type. Once your personalised massage begins the air massage system and neck traction lift your neck from the sides to knead and stretch the neck muscles. The massage pads built into the chair will apply Shiatsu pressure on the top and back or your shoulders. The 20 air cells in the arm area of the chair inflate and deflate precisely to work on your upper arms, your forearms and all the way through to your fingertips. At the same time the air bags give a side press massage from the sides of your buttocks which can be a little disconcerting the first time you feel it but it helps the blood flow to that area and helps the relaxation of the muscles in the buttocks. The 13 power rollers each roll from the base of your skull down to the buttocks. The 101+ active air cells cover 1.200 square inches and have a 28.4” stroke length. There isn’t another massage chair in this class that does that. The width of the rollers can be adjusted to wide, medium or narrow. The rollers are able to mimic the actions of a Shiatsu masseuse. There are 8 pre-set Shiatsu massage programs to choose from. The Dreamwave program has the rollers move in a figure of eight pattern and is unique to this particular model of chair. As well as these functions the Stretch program pulls the shoulder, hip and back so these muscles are stimulated and there is an increase in blood flow, therefore loosening the muscles. Most of the massage chairs in this class have a wide range of pre-set programmes available but the Inada’s programmes are particularly innovative. The Sogno is an awesome piece of furniture. It has 4 wellbeing programs and 8 healthcare programs. All the massage functions provide a shiatsu-based massage, which means “finger pressure”. The massage mimics the movements of fingers, thumbs feet and palms as well as providing stretching and mobilization and manipulation. 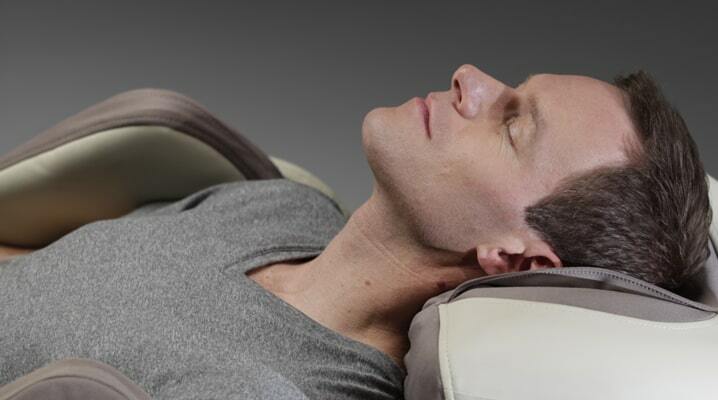 Therefore, the Dreamwave provides a quality massage which is almost as good as a human hands massage.. 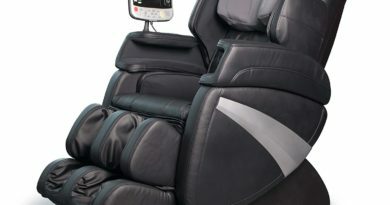 Although pre-programmed massage choices are common in most chairs the Dreamwave’s are very sophisticated and innovative. 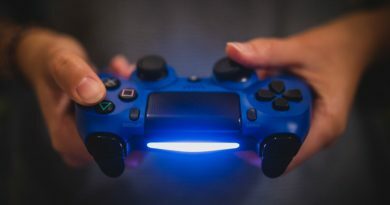 These pre-programmed features should help most needs of the buyer. If you have a specific area you need to work on due to a sports injury or just want to relax, the Sonogo has it covered. There has been much research into how beneficial massage can be to help people who suffer from insomnia and anxiety and using the pre-programmed mode on the Dreamwave will relax you and help you to unwind from a busy day. All the programmes are based on Shiatsu massage and include Stretch, Morning, Night-time and Dreamwave. This provides a feeling of being ‘cradled’ during your massage. This enables a feeling of total relaxation and well-being unmatched in similar chairs in its class. This feature is designed to reduce tension in common areas where tension manifests: the neck and shoulder areas. The full-arm shiatsu feature uses airbags which gently knead and squeeze the arm muscles and hands. If you suffer from tension and stress in your upper body this is ideal for you. The unique back sensor scan measures the curvature of your back and has 106 profiles to match your needs. This means the massage can be more specific to your body shape rather than a general massage suited to anyone. 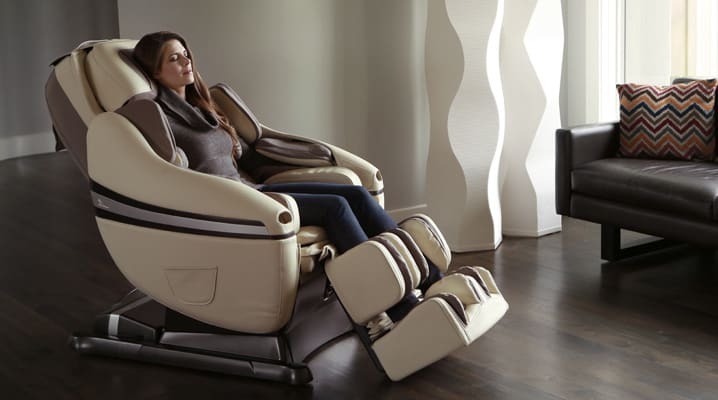 Personalization of the massage experience is central to the Inada Dreamwave Chair. TruBlack which has genuine top grain leather. There is an auto-timer function but you can add more time after it has stopped should you wish. Giving you a continuous massage of 30 minutes. The heated seat can warm up to 102 degrees, warming your lower back and buttocks and will not overheat if used under 2 hours in one session. If you are looking for versatility then the Inada Sogno Dreamwave can provide that in spades. You are able to tailor your massage to whatever you want. It is extremely user-friendly once you get used to it. If you want to just kick back and relax or you have a specific area to concentrate on such as lower back, shoulders or legs you can tailor your massage to address these issues. What are the Advantages of the Inada chairs over Leading Competitors? The Inada offers body scanning that allows you to adjust various features of the chair to get a customized massage. Other poor quality massage chairs do not offer this. The “shiatsu massage” which mimics a human touch is second to none and very effective. Inada is one of the most reliable companies on the market. They’re from Japan (where all the best massage chairs are from) and they’ve been in business for over 60 years, refining their products and perfecting their art. The Inada company is committed to scientific research and uses these research results to refine their chairs regularly. They have recently dropped the ‘Sogno’ name from the chair but it is still the same product. The Dreamwave is ergonomic and comfortable, and it even massages your thighs, calves and feet. It has a ton of settings (16 pre-programmed “massage sessions”) that deliver an amazing, deeply relaxing massage. Other machines offer eight to ten settings, and many of them aren’t built to cover a wide range of people. Inada prides themselves on having gentle settings for teenagers and the elderly. The warranty is backed up by quality after sales service. Other companies do not provide such extensive customer care. Out of all the brands out there, Inada has some of the lowest failure rates meaning that they do not break unexpectedly as other models are prone to do. Most massage chairs on the market have failure rates around 10% and some Chinese brands have failure rates around 40%. The Dreamwave is 1-3% which is a huge advantage over its competitors. Plus, if your chair does break, InadaUSA say they usually have their “chair doctors” come to your home within a few hours. Allow for at least 65 cm (26 inch.) clearance behind the chair and 40 cm (16 inch.) in front of the chair when you install it. This allows the chair to recline the seat back fully without obstruction. How will the Inada fit your home? The chair is quite large. It’s best if you have a dedicated space where you can put your chair, such as in a spare room. The legs fold out, it reclines and gets amazingly comfortable but they can take up a lot of space if you haven’t got a sizable living room. The intensity of massage can be adjusted with an air-actuated 3-D massage mechanism. You can increase or decrease depending on your personal preference. Where is the Inada made? The Inada headquarters are in Osaka, Japan. The company has been trading for over 60 years and its products have won many industry awards. 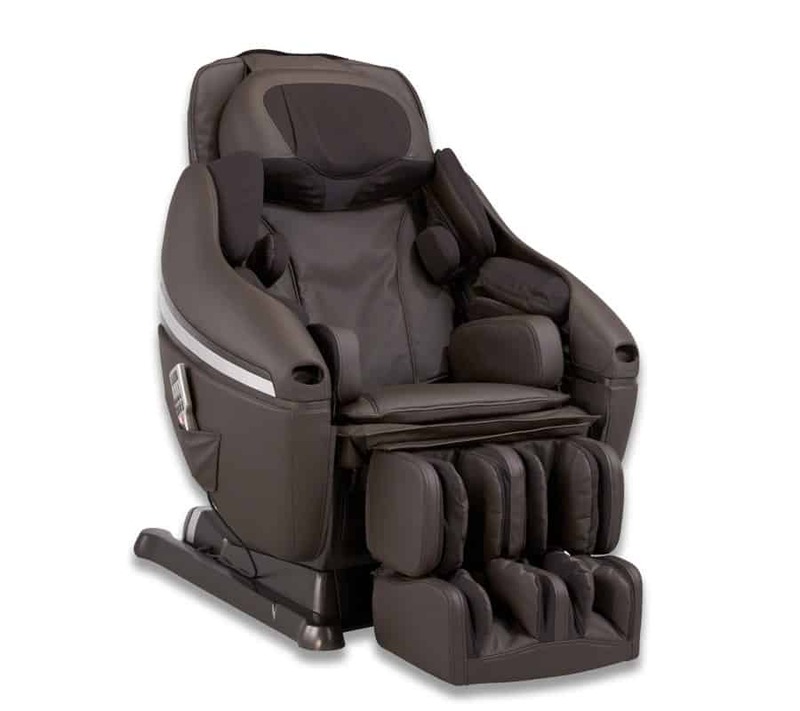 Who invented the Inada Sogno Dreamwave massage chair? Toshiyuki Kita invented the chair and he was a finalist for the 2009 Pinnacle award by the American Society of Future Designers (ASFD). His innovative furniture designs are on display in the Museum of Modern Art in New York, the Centre Georges Pompidou in Paris and the Pinakothek der Modarne in Munich. How to assemble an Inada chair? The Inada Sogno DreamWave is delivered unassembled. Click here for information on how to assemble your chair.It arrives in two large boxes that weigh in at a total of about 300 pounds. The Sogno is as we have stated, a large chair, and some people who have bought it report that it is quite difficult to put together. It does come with full instructions and a wrench is provided. If you are not confident of your skills in this area you may have to pay extra to have the chair installed by professional installers. 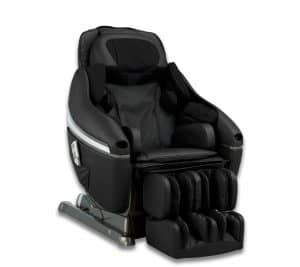 Who is the Inada Sogno Dreamwave massage chair for? The Sogno Dreamwave easily adjusts to most heights and body types of users. The height ranges from 5’ to 6’5”. The adjustable, automated foot areas give your feet and calves a shiatsu massage as wall due to the air cells in the foot bed. It is a great choice for anyone wanting an authentic Shiatsu massage at home but do not have the desire or finances to have regular sessions with a professional masseuse. The choice of settings and mix and match aspect of the massage programs mean you are unlikely to get bored of any of the chairs massage settings. This chair also has a massage program specifically for young teenagers from the age of 14 and above. The Youth setting features can even be used for a small family pet if you can persuade them to stay on the chair! For safety sake, there is a child safety lock, a sensor to prevent the chair from reclining should there be a person or object in the way and it also has an emergency breakaway power cord. If you are an athlete the Inada has an Iliotibial Band massage specifically for athletes hips and thighs, often a problem area. This relieves tightness and pressure in the muscles, increases the blood flow and reduces the chances of injury or lasting damage. The price of the Inada Dreamwave means it is one of the most expensive chairs on the market. Therefore, it is only for buyers who have a significant amount of cash to invest in this type of furniture. There are alternatives in the same specification range such as the Ogawa Smart 3D Massage Chair or the Panasonic EP-MA73 Massage Chair. However, the Dreamwave’s functionality and ease of use with its ability to tailor a massage to a specific body shape makes the price tag worth it. If you have never owned a massage chair before the Inada may seem to be an extravagant choice. There are cheaper alternatives such as the Osaki os-4000 you should look at but as this is a major investment be sure to look at how reliable and robust the cheaper alternatives are. You should also think about how often you are going to use a massage chair. If you think it will be only for occasional use then this chair may be unsuitable for you and your lifestyle. However, if you want a chair that will last and cope with daily use the Dreamwave should be a contender. What’s missing from the Inada? Buyers have reported their disappointment that there is not a massage function specifically for the head area. The neck and shoulder massage is excellent but the lack of a headband which the Osaki os-7075R has, is surprising given the price tag. The headband gives a feeling of relaxation relieving tension in the head by gently stimulating the forehead area. This chair is one of the heaviest massage chairs on the market at over 300lbs. So if you are planning on moving around a lot this would not be your first choice. You also have to consider how large your living space is as this chair is quite large when in full massage mode. There are lighter alternatives such as the ijoy 2580 which is 170lbs but it does not have such an extensive list of features. The Inada does have heated pads for your lower back but it does not have magnetic therapy which the Fujimi EP8800 offers. What buyers of the Inada Sogno Dreamwave report? After looking through many customer reviews it is clear the vast majority are favourable. Some have reported the Inada as changing their life. One of the most popular features of this chair is its versatility and ability to combine different functions into one massage. 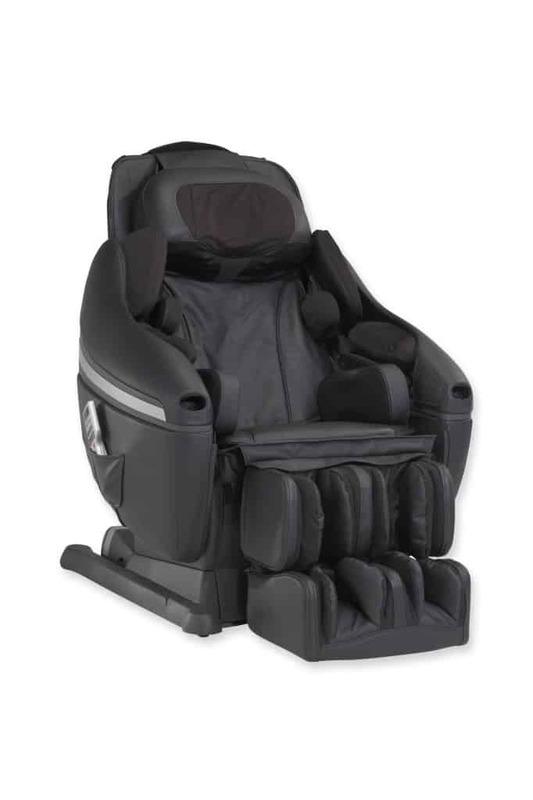 For most customers the price did not seem to be an issue once they had experienced the massage the chair provides. Plus the extended warranty and robust well made and sturdy construction. The weight of the chair can be an issue for some but others report they like how stable it feels and the chair does not rock as some cheaper models do. Above all, the reviews all mention the quality of the manufacture and the quality of the massage the chair provides. You should only buy a chair with an amazing warranty. The Inada Sonigo has the best warranty on the market and the Dreamwave even includes support service by technicians all over the nation. Conclusion: Is the Inada Dreamwave massage chair worth your money? The Inada Dreamwave Chair is one of the most luxurious models on the market today. The price tag reflects this but it is a quality product you should probably consider. Realistically, the Inada Chair is perfect for everyone. This might sound like a pretty bold claim, but about 22% of all households in Japan own Inada models (or something similar). The Inada may be a relatively expensive massage chair but its award winning design, realistic 3D Shiatsu massage, backed up by very good customer support and warranty makes it worth the money. The comfort it provides and the quality of the massage it provides alleviating stiffness and pain, mean this luxurious chair over delivers on many levels, not just aesthetically. The health benefits of using a high-quality chair cannot be overstated. You will not get this type of massage from a cheaper chair. In our opinion, if you have the cash, the Inada Sogno Dreamwave is in a class of its own and well worth your money. ← Osaki os-4000 Massage Chair: Is it worth your money?